Hand held simple swing / slipping operation, more durable than those pulling operated choppers. Easily chopping garlic, ginger, nuts, fruit, vegetables. 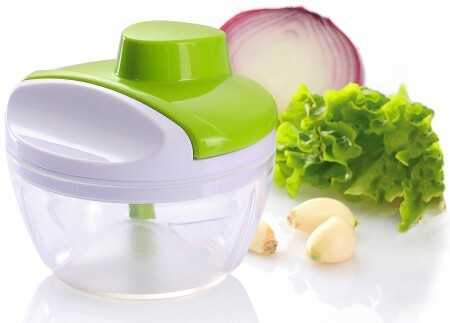 Perfect for preparing baby food, salsa, hummus, pesto, sauces and dressings. BPA-Free, easy to clean, dishwasher safe bowl. Compact size, perfect for travelling, picnic, camping. Beyond Amazon's A-Z claim policy protection, you are backed by Surpahs' 100% satisfaction guarantee program. Welcome to compare!